This article is a helpful intro on how our education system is failing our boys. In many ways normal boy behavior is considered at best an inconvenience, and at worst a disorder to be treated. This is important stuff, and if you would like to explore this more check out the book “Boys Adrift” by family practice MD and psychologist Leonard Sax. You need to read this if you have little boys. Our current system is not helping boys succeed, it is holding them back. And this in spite of the ongoing myth of oppressed girls in the academic environment. The folks at the Harvard Business Review point out the natural ways that employees punish unethical behavior-often through social means like walking away from an unethical person or leaving the room when someone enters. Basically this means that when we know someone is a cheater, it is so distasteful that we don’t even want to be around them. But there is an exception, and it is revealing. When we are willing to tolerate or overlook really bad behavior there is always a reason. Often it is because we are benefitting in some way. It may be financial, social, career advancement, etc. But the reason is revealing. If there is real evil in your circumstances and you are unwilling to take a stand against it, you can learn something important about character. The reason you won’t take a stand may reveal what you value most. “Unethical high-performing employees, however, appear to receive a free pass for their unethical behaviors. These people may be unethical, but they get the job done, and enhance the organization’s short-term profitability along the way. It is common to look on other cultures, and especially past generations with some disdain. This is almost a requirement for anyone who thinks of themselves as a “modern” person. We see their flaws so clearly, and congratulate ourselves for our clear vision in areas where they were so blind. How could they have missed it? But to a thoughtful observer, this experience should be a little terrifying. What if I am not so very different from those barbarians? What if history repeats itself? What if my children will have the same critical thoughts about me that I have about my parents and grandparents? 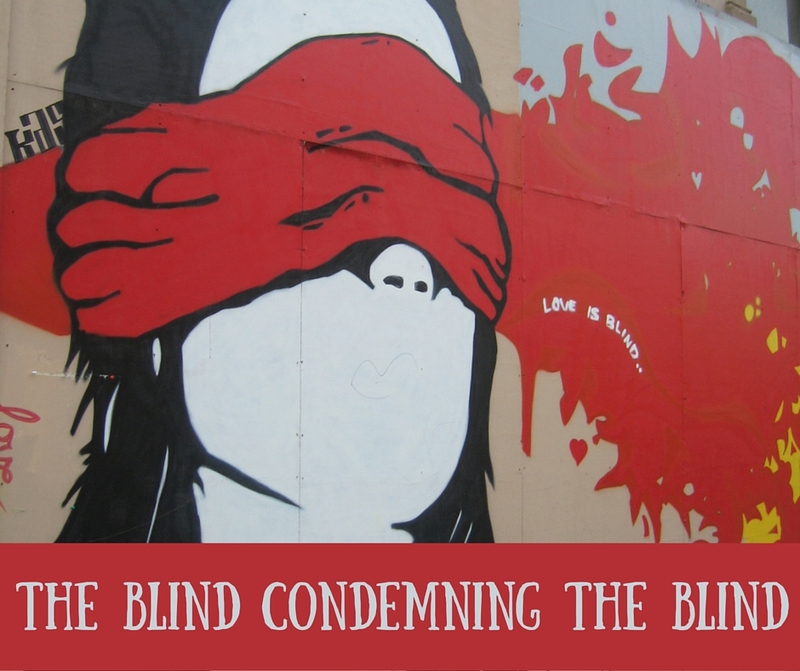 What if my own bias makes me blind to my own moral failings? And above all, what if God sees it all very clearly? Then what? This was the argument of the Apostle Paul in Romans Chapter 2. He said, “you who condemn another do you not condemn yourself?” It is too easy to limit the idea of condemnation to moralists. Our generation readily condemns those guilty of greed, racism, environmental irresponsibility, sexism, etc. And we do this most readily when looking at past generations. But when we make these kinds of judgments we are unwittingly conceding that there is a standard that transcends generations and cultures. That there is a standard that is not relative, and that applies even when we don’t see it or know it. And when we are honest, we will have to admit that this law stands over us as well. Here is a great (and brief) article on the importance of failure in developing character, growing businesses, and helping people have a good life. It turns out that trying to spare people (ourselves, our children, our employees, etc) from experiencing the pain of failure is bad in the long run. Why? We can’t gain deep wisdom without the process of learning from our failures. This is a list from the article at Forbes.com of ways to help people fail in a way that is positive for them and the organization. Madison Holleran posted a photo of Rittenhouse Square in Philadelphia to Instagram (right) an hour before jumping to her death. One of the deepest diseases of human nature is lying. And I am talking about something far more subtle and destructive than bearing false witness to a teacher or police officer in order to get out of trouble. One of the darkest elements of broken humanity is to lie about who we are. To create a false identity and then try to maintain it. The need to hide our pain and sin behind a mask of smiles and virtue. The word hypocrite comes from the Greek word for a person that wears a mask. It originates with the Greek theater, where actors wore masks to disguise not only their identity but even the sound of their voices. A hypocrite is a kind of actor that pretends to be someone they are not. Traditionally this concept has been reserved for people pretending to be moral, for example religious people, public leaders, or politicians. But the concept is broader than preaching abstinence while practicing indulgence. It includes those of us who stay in character once we have left the stage. The hypocrite is essentially an imposter. We are disgusted to find out that people we respect because of their public persona are actually using their image to cover up a life of corruption and debauchery. Well, it appears that what was once reserved for politicians and the religious is now a growing temptation for the masses. Perhaps it was there all along. But social media has provided a window into the ubiquity of human deceit. This article in the New York Post discusses growing darkness that lies beneath the surface in social media. The author cites some extreme examples, but anyone with a Facebook account understands this. We are subject to two related temptations: To lie about our own life while believing and comparing ourselves to the lies that our friends are telling. This is no joke. Wow, how bad does life have to be to want to do this? For those of us old enough to remember the ancient world of 10 years ago, all of this is pretty frightening. Technology is the great magnifier. It has the potential to draw out and magnify the dark side of human nature. And can do this by several magnitudes, all while maintaining the filtered image of a smile. ‘Then there are those who aggressively seek out admiration and envy. Google “GoPro proposal” and you’ll get 428,000 hits — people who planned and recorded the moment they got engaged, then uploaded it for global consumption. Some couples live-stream it. Others stage-manage the “set,” then hire professional photographers to capture the moment.